Οδηγός χιονοδρομικού για Nendaz, χάρτης περιοχής και διαμονή για Nendaz. 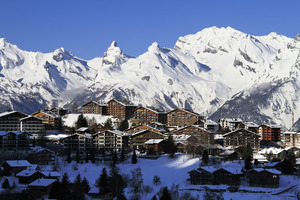 Nendaz is a small friendly village over looking the Rhone valley and sits at 1365m. It is one of the 23 resorts in Switzerland that has been awarded the "Families Welcome" label by the Swiss Tourism Federation. Nendaz offers great value for money and yet gives access to 410km of piste around the 4 Valleys that also covers the chic and famous resort of Verbier. The accommodation in Nendaz offers value for money whether staying in a chalet rental, apartment to rent or at a top hotel. With excellent service and facilities both on and off the slopes, Nendaz is a superb family resort throughout the year, with lively apres-ski and a varied choice of restaurants and cafes. 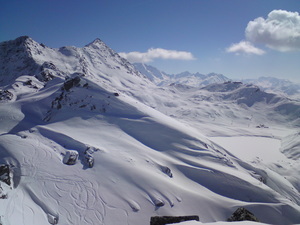 We have been coming to Nendaz for 15 years and in that time the resort has grown up a lot. We have lots of new lifts. Lots of new apartments and some very modern chalets and so a big 4* hotel. The restaurants are still very good and the resort is still friendly and very family orientated with a big majority opting for self-catering. 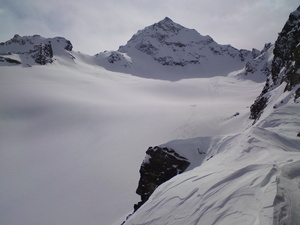 The slopes are well managed and sometimes not groomed so you can do a bit of powder on a regular run. Nowadays we find Nendaz is good for a day or two, just to get the ski legs back! 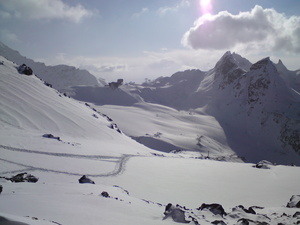 We prefer Siviez; now doable by ski from Nendaz. Verbier is a one day treat mid week (and never on a Friday! Too many last hurrah Henrys!). 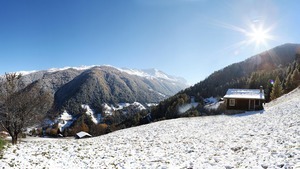 Top tip: buy a Printse ticket for your stay, then upgrade to a Verbier day ticket to do Verbier. You can ski, Nendaz, Siviez Thyon and Veysonnaz on a Printse ticket. Only worth the full 4 Vallees ticket if you are going to do Verbier every day.